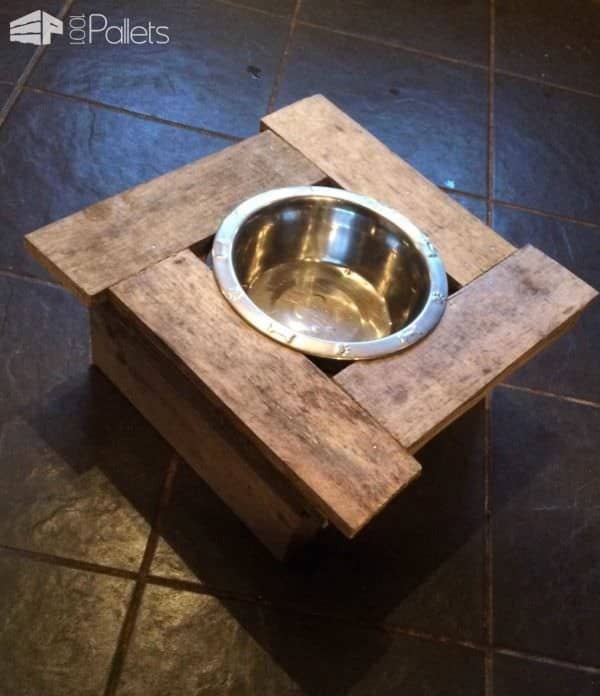 I made this dinner table for my disabled puppy Bud Light. 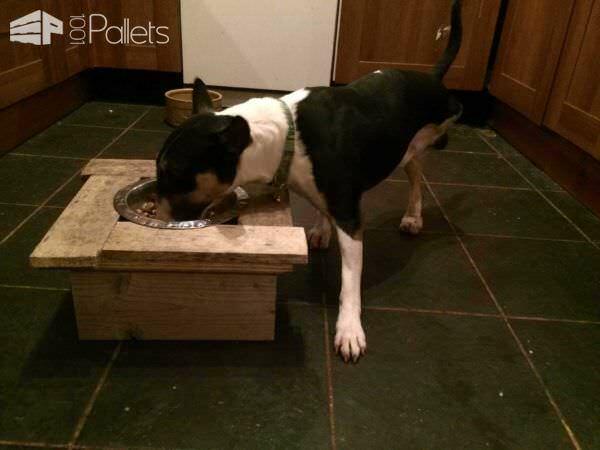 He has trouble eating from a bowl on the floor so one day I knocked this up for him. I was going to trim off the edges and sand it but I quite like it like this :) and it only took me a half hour! Please no pallets around food or food gardens, especially our pets! So many are toxic.